Design Standards – Clinical Mobility, Inc.
What separates Clinical Mobility is how we approach design. As a healthcare industry, we have the same regulatory requirements and general goals, but we operate at different stages of implementation. Yet, our technology implementations often vary significantly at every location. This drives increases in long term costs in managing variance, troubleshooting unique problems and leaving users to deal with incompatibilities from location to location. 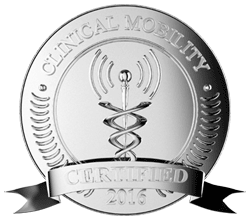 Clinical Mobility develops tested and certified designs providing economies of scale, repeat-ability and most importantly achieving the highest levels of reliability, security and performance. Clinical Mobility is the first to develop a design standard that meets the common regulatory compliance and reliability targets for healthcare. Our company founders know from their enterprise IT background, once you truly have a design standard, it can then be repeated at scale. With scale, you reduce costs, reduce complexity and variance in the environment, you enable operations teams to manage every location the same way. In turn, this frees hospital IT staff from focusing on mundane tasks and spend their time elsewhere. It is all about efficiency. We start by deploying our infrastructure design standard in your facility onto your existing or new Cisco Wireless infrastructure. We can improve your current investment or refresh your hardware to the latest offering. Any radio frequency (RF) issues are handled at this time providing a solid baseline to build upon. We assess your current security policy and develop a plan to take your security to the next level. Once the infrastructure is in place, in partnership with your hospital IT team or one of our Strategic Partners, our tested client device configurations are then deployed to match the design infrastructure standard you deployed. How can device manufacturers ensure quality to an infinitely variable design target? Your guess is as good as ours. By providing device manufacturers a clear design target, their development teams know exactly what to do. We work with them to meet not only our design goals for reliability and performance at high security levels. We become your lifecycle strategy. Clinical Mobility continues to test new manufacturer product releases so you don’t have to. Once these releases pass our rigorous tests, you can then upgrade anytime to take advantage of new patches and features or simply stay right where you’re at. It is your choice. Regardless of what you choose, stability and reliability will be maintained. We take a total-system-approach – infrastructure, clients and security – and lifecycle updates will always be comprehensive thereby avoiding incompatibilities and project failures.